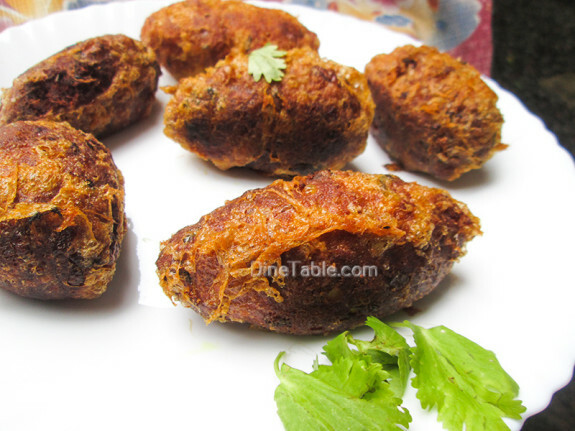 Chicken and Egg Kebab is a tasty and delicious snack recipe for every occasions. It will be enjoyed by all ages. It is an excellent iftar snack too, which can also be served in evening with any sauce, if you prefer. 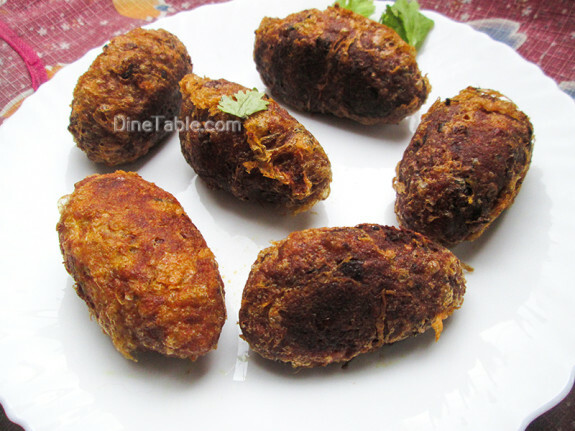 Here I have used eggs which is boiled and covered with minced chicken and Bengal gram (kadala parippu, കടല പരിപ്പ്). Bengal gram is an excellent supplement of proteins and is healthy too. 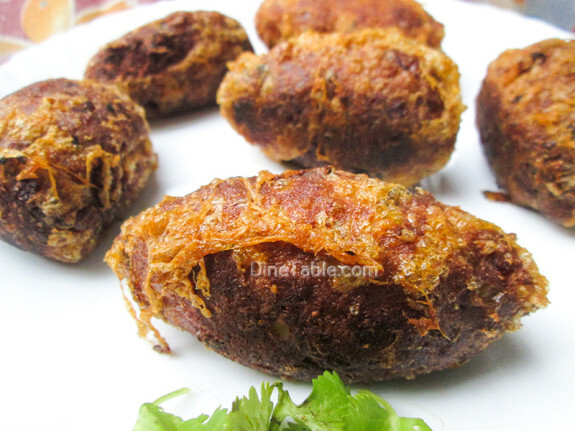 Bengal gram makes the snack tastes very nice and healthy. 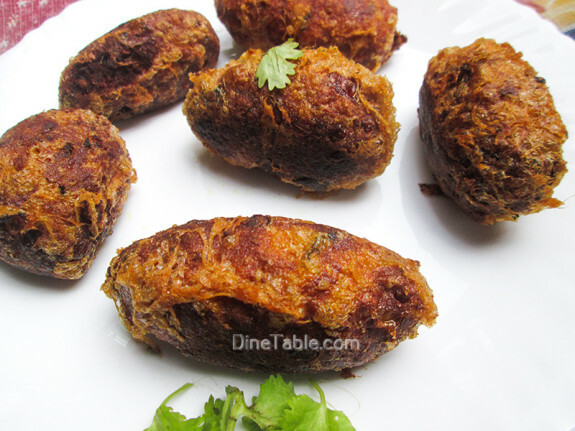 The kebabs thus made are dipped in egg and fried. Kids will surely love it. This delicious snack will indeed satisfy your entire family members. 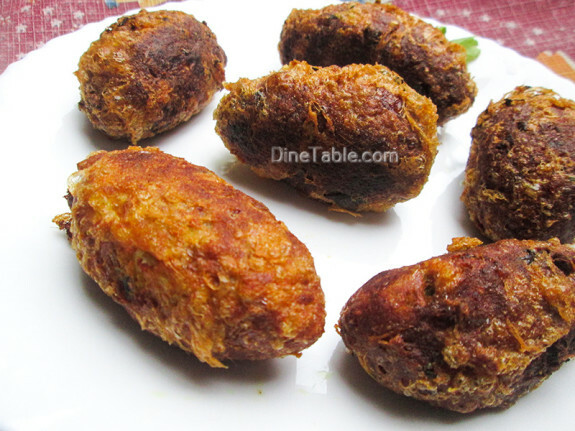 Click here for other tasty Chicken Recipes..
Take a pressure cooker, add chicken pieces, red chilly powder, garam masala powder, ginger garlic paste, salt, Bengal gram and water. Cook this for 10 minutes. Grind these into a thick paste with a mixer grinder. Make medium-sized balls out of the mix. Flatten them out in your palm. 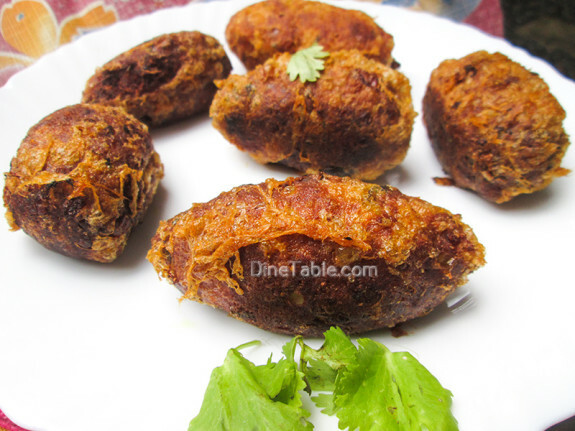 Place a egg inside and cover up and roll into oval sized kebabs. Beat eggs in a bowl. Dip the kebabs in the beaten egg. Heat vegetable oil in a pan and fry the kebabs until golden. Yummy Chicken and Egg kebab is ready.